During the construction of high rise structures, substantial debris is created on the floors of the building. Standard vertical screens or vertical barriers typically are 42” tall and moderately effective. Debris is often knocked or blown over the top of these barriers creating a hazard to workers, public and the surrounding properties below. The “Floor to Ceiling” containment panels provide complete containment of project debris as well as workers. Multiple floors are often protected while work is progressing prior to clean up. Once clean-up is complete the netting is rotated upward ahead of the cladding or glazing operations as the structure progresses upward. Additionally, the fi ne mesh panels help reduce wind speeds on the floor and the associated hazards to workers. The custom fabricated panels are easily installed to a top and bottom cable and are reusable throughout the life of the project. The net system has a 3-layer construction and it exceeds the strength requirements for a guardrail systems. In addition, this system meets the requirements as specified by NFPA 701 for fire retardants, is UV stabilized and has a high chemical resistance for added safety. 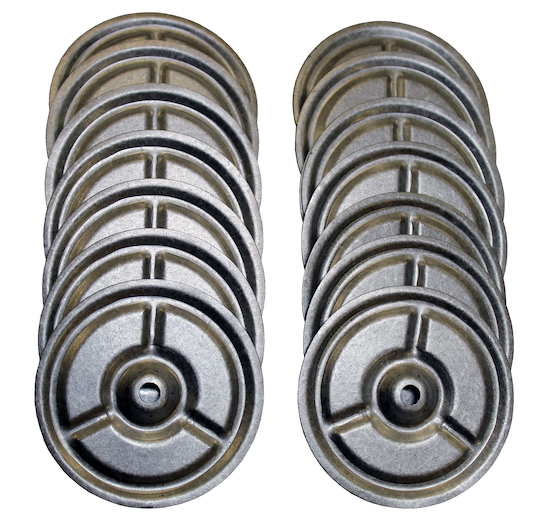 Includes 16 tie-down plates - Attaches the bottom of the net to the floor for ultimate debris containment protection. Compact and lightweight materials - Easily transported, set-up, dismantled and stored for added productivity. Easily installed without special tools - Extremely fast installation is accomplished by simply attaching net to cable and floor using built-in snap hooks and tie-down plates. 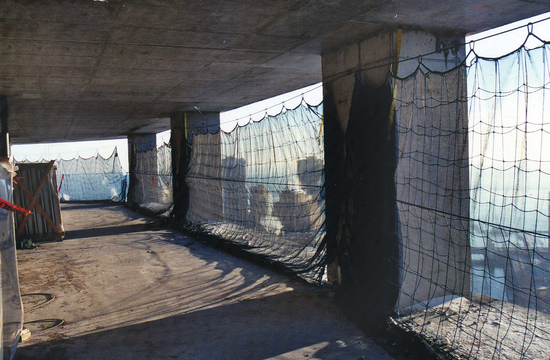 Order 4102000 floor-to-ceiling debris net separately - Available in 9-1/2 x 30 ft. (2.9 x 9.1 m) size.